It’s that time of year again – where people who have no clue what a three-second violation is begin betting $5, $10 or upwards of thousands of dollars on their NCAA mens’ basketball champion selection. As a basketball junky lover, let me offer you three simple steps to follow to help you fill out a winning bracket. 1. Those little numbers next to the college name are the college’s seed number. The lower the number, typically, the better the team. You may have known this since as long as you can remember, but lots of people don’t. Maybe you pick a team to win based on if you like their college colors. Cool. Maybe you pick a team based on their mascot. Awesome. But whatever you do, know that the lower the little number is, the better the chance that team has to win and advance. 2. Be smart when picking major upsets. In years past, 16 seeds have never beat a 1 seed in the first round. Rarely, maybe two or three times in the past thirty years, has a 15 seed beat a 2 seed. However, almost every year, a 12 seed beats a 5 seed. Weird. 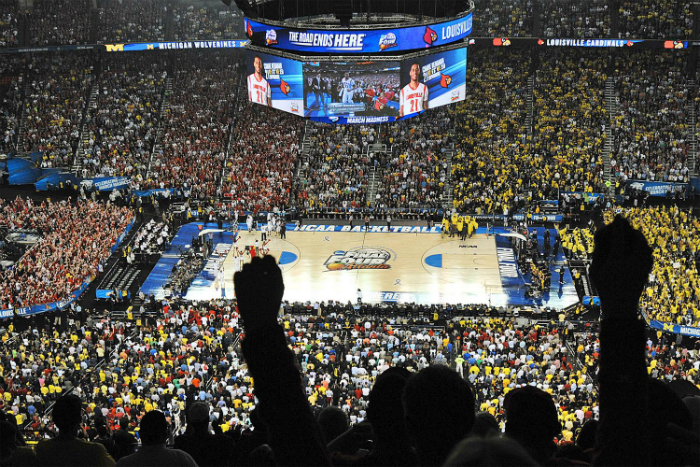 For the Final Four, your best bet is to have seeds 1-4. Can a team with a 5 seed or higher make it in? Absolutely. Is it likely? Not nearly as likely as a 1-4 seed. Also, Kentucky is 31-0. They are favorite to win the tournament. 3. Don’t rely on experts. Because nobody is an expert in guessing. It’s preposterous. Does ESPN have experts? Yes. Are they clairvoyant? No. Well at least dear God I hope not. Yes, they know a metric boat load more than we know, but for you non-sport folks out there, get used to the phrase, “That’s why they play the game.” Looking good on paper and actually winning the game are two different things. If you really want to get scientific, follow the study telling you to trust your gut. Best of luck with your bracket, and let us know how you do! Brackets will be available late this Sunday night, I believe. Probably should have mentioned that in the post.